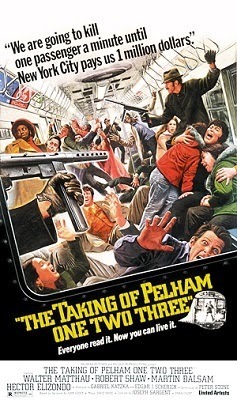 The Taking of Pelham One Two Three is one of my favorite films of the 1970's. An early heist film, Pelham stars one of my favorite actors and it possesses the very types of characters, plotting, smart writing and pacing that made the 1970's perhaps the best decade for films. If you haven't seen this one, you should. Pelham begins with a group of men boarding a subway train. These men are a strange mix of middle-aged men and old men. The leader of the group is British mercenary Bernard Ryder aka “Mr. Blue,” played by the vast underrated Robert Shaw. Shaw is an amazing actor with incredible range who deserves to be mentioned in any discussion of the greatest actors of all time. He leads a group that includes a man who comes across as a bloodthirsty thug (Hector Elizondo as Giuseppe Benvenuto aka “Mr. Grey”), an old guy who talks too much (Martin Balsam as Harold Longman aka “Mr. Green”) and Mr. Brown (Earl Hindman). Balsam is a former motorman who worked for the New York City Transit Authority driving subway trains until he was busted for drugs. The target of their scheme is a subway train identified as Pelham 1-2-3 because of its destination and scheduled time of arrival. Interestingly, they actually hijack the train from the platform itself. From there, they take it and the passengers out into the tunnel and stop the train. They decouple most of the cars and move off to another part of the tunnel with the part of the train they are keeping. Then they call the tower to make their demands. Meanwhile, Lt. Zachary Garber (Walter Matthau) is going through his day. Today features a tour of the Transit Authority command center for visiting Japanese dignitaries, who run the Tokyo subway. They apparently don't speak English, so Matthau's tour is rather a waste. As Matthau finishes the tour, he hears the hijackers' call coming over the radio. He takes command of the situation and also bring in the transit police. This begins a cat and mouse game between Matthau and Shaw as Shaw tries to force Matthau to give him the money he demands and Matthau tries to solve how Shaw plans to escape from a closed tunnel. Pelham is a great film that has stood the test of time. 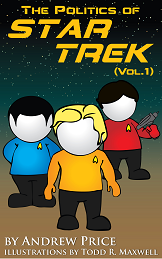 It has been referenced in popular culture, it still gets played regularly on multiple channels, and there was even a sequel made -- the remake wasn't bad, but is forgettable. So what made this film so good? The characters. Before we address the characters, let me point out a few things. First, this film is really well written. The story itself is very clever. For one thing, consider the scheme itself. Who would ever think to hijack a subway train? Not only do subway trains generally have nothing of value on them, but talk about a trap! Unlike hijacking a plane or taking something from a fixed location and then trying to get away on foot or by car or whatever, a subway train is stuck on a track. It can only go to a handful of places and the tower will know exactly where it is headed at all times. What's more, even after you leave the car, you still need to leave the subway itself, which is easily flooded with cops. So taking a subway is already a fascinatingly unique and clever idea. Moreover, the film parlays this into a fascinating mystery: how do they plan to escape? In that regard, Matthau is key. He is presented as an expert in everything subway, and he presents us with the mystery, talks us through it, explains what we need to know, and eventually solves it for us. This gives us a bond with a very likable character and it gives a mystery which keeps us focused intensely as we try to guess their plan. Secondly, the film gives you a really good insight into the world of running a subway. Films that do that are always appreciated because it helps the audience feel like they are being immersed in a new, yet very real world. It's the same instinct that draws us to documentaries, and here it acts as a bonus in the film. The film also is very cleverly written. In particular, the film is excels at presenting action through words. For example, at one point Shaw tells the passengers that he is holding a machine gun which shoots 800 rounds a minute: "And that means that if every one of you rushed me all at once, not one of you would get any further than you are right now." Think about this line for a moment. Most movies would have had him shoot off a couple rounds. But not only is that clichéd, but it doesn't really paint an image: shooting into the air reminds us that this is a gun, but that’s it. Shaw's line makes us think of each of the passengers being mowed down under a spray of lead. That image make Shaw much more terrifying than if he just shot into the air. And the way he delivers it reminds us how cool Shaw is under pressure. He is no ordinary criminal. The whole film is full of lines like this. Now let's talk about the characters. Few heist films give you much in the way of characters. What they really do instead is sell you the actors. Yes, there might be some back-story presented to fill in the characters (and the target will be presented as sufficiently odious that the audience comes to believe that stealing from them is the good moral choice), but what they really sell you is the chemistry between the actors. Pelham is different. Here, the guys running the heist are the bad guys. They make no bones about it. And there is no chemistry between them – they are an unpleasant lot. You have Shaw, who is presented as a mercenary who worked in Africa. He thinks he lives by a moral code, but he doesn’t. He mistakes his cold-blooded nature for nobility. You have Elizondo who is presented as a psychotic. And you have Balsam who is presented as a greedy old motorman who can’t keep his mouth shut and who thinks he has the right to steal from the city because the framed him for drugs. He is not meant to be a criminal, but he is hopelessly bitter. You never do learn how these men got together or who planned this, but you learn loads about them as the story runs. Even better, you don't learn it in flashbacks or even with direct discussions, you learn it in off-the-cuff comments and the ways their characters react. 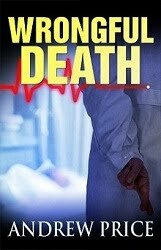 The end result is a fascinatingly real group who are held together by the sheer will of Shaw and are as dangerous to each other as they are to the hostages they take. On the other side, you have Matthau. Matthau was huge in the 1970's and the reason is that despite his Droopy Dog personality, Matthau was an everyman who acted like the world had worn him down, but who was ready to be the hero at a moment's notice. He still cared about right and wrong, even though he talked like he didn’t, and he was extremely competent at his job when he needed to be. Those are thing we respect and want in our protagonists. Moreover, Matthau brought excellent comedic timing to the role, and his personality is disarming. Indeed, he is one of those rare types who could talk back to the deadly serious Shaw and the audience knew Shaw would respect his wisecracks. What's more, every character in this story brings something to the table. All the bit characters who normally exist only to further the plot come with complete personalities here. You have the Jewish passenger who is likely a concentration camp survivor, the trainee conductor on his first day, the sexist who reluctantly let women into his department, the grumpy old dispatcher who struggles to suppress his anger at the death of his friend, the mayor who has given up his chance at re-election, the slimy political consultant, the cop who found a job that lets him read his newspaper in peace and now must face a truly unexpected scenario, and so on. Unlike modern movies, this isn't a movie of main characters surrounded by props, this is a film populated by real people. And that makes the film feel so much richer and it raises the stakes for the battle of minds between Matthau and Shaw. All of this makes this one of those films that is truly rare today. It is an intensely clever film about a battle of minds and wills between two top men in a very real world. There is no cartoon action, no cartoon villain, and nothing gets dumbed-down. On a final note, as is so often the case, the setting itself plays an interesting role here. I've already noted how this film educates you about the inner workings of a subway, but at the same time it gives you a glimpse of New York City in the 1970’s. This was the decade of the Apple in Decay when New York was going broke and everything was running down. This film presents that sensibility very well, but simultaneously makes it clear that as bad as things seemed, there are still good people who stand ready to do the right thing. It makes for a fascinating contrast... something modern films rarely understand. Anyway, I love this movie. It does pretty much everything right. Robert Shaw is such a badass! It's a serious film that doesn't take itself too seriously, if that makes any sense. And yeah, when you watch movies like this, it's hard to believe NYC survived the end of the 70s! voz, I thought the remake was passable, but forgettable. The original, I love. Shaw and Matthau in particular make this film work. Scott, It makes you wonder how NYC survived, doesn't it? I guess that goes to show that anything can turn itself around given the right circumstances. I love this movie. I think it's great. Agreed about Shaw. He is so menacing and he does it with so little. He says so little and does even less and yet he is totally intimidating. That's great acting! BTW, one of the things that amazes me is Matthau. He is not a man who would ever be chosen to lead a film today and yet he managed to do it time and again in the 1970s to great effect. I find that fascinating. I think what I liked about the remake was the style...I have enjoyed Tony Scott's style...I do remember thinking that Denzel was just fine in the role but Travolta overplayed his character to the hilt...he was better in the film he did right after it (From Paris with Love). I felt that Travolta's character was way too vulgar...whereas Shaw made the character intimidating by his presence, not the words he was shouting. We also have to talk about the funky score by David Shire. He wanted to do some kind of funk/jazz/big band, but wanted a way of making it dissonant and powerful—not too light, but not too random. So for his melodic materials he utilized the 12-tone method of composition, a technique devised by Arnold Schoenberg in the early 20th century in which you make a theme by using all 12 pitches in a specific order, and then create other themes by playing that "row" backwards, upside-down, backwards and upside-down, or transposed. Shire ended up with a monster two-note bass line with these 12-tone themes running on top. P.S. I forgot to correct you... there was no "sequel," but there were two remakes: the one with Denzel/Travolta, and also a TV movie made in the 90s with Edward James Olmos and Vincent D'Onofrio. I've never seen it but I hear it's not good, and it doesn't help that it was apparently shot in Toronto. Classic, saw this with my brother in 1974 on the big screen. I was 11. Fond memory as it never really played much on TV until cable took over in the late eighties. I have the DVD now, of course. I do remember it running on network TV '75 or '76 with the language cleaned up and the more intense violence edited. The remake was a shadow, capturing the outline but not the substance of the story. The original has held up well, it is a time capsule of New York in the early seventies, indeed the whole country. Viet Nam vets trying to return to normal life, racist Japanese, Jew, Italian jokes (ones that cannot be told today, that's for sure). The only thing that really stands out now as dated and definitely unnecessary is the faux car chase through the city to get the money there in time. Perhaps an action film staple and quite popular with most films of the time, it stands out as like a sneeze on the radio. If you know what I mean! voz, From Paris With Love was excellent! Agreed about Shaw v. Travolta. Travolta tried to yell to sound intimidating, which didn't work. But Shaw intimidated you with his calm and with his potential for violence. You never doubted he would kill everyone if it came to that. Travolta never came across that strongly to me. The soundtrack in this works really well. It's memorable and it's right on point. Agreed on how the film stands up. It is still an exciting, interesting film, even when you've seen it a dozen times. Agreed on the car chase too. That never felt particularly real to me, but I get why they did it. You're right about the time capsule feel too. All those things come across, including the big women's rights/ERA stuff from that era. It's a fascinating look into a long gone era. "Yes, there might be some back-story presented to fill in the characters (and the target will be presented as sufficiently odious that the audience comes to believe that stealing from them is the good moral choice), but what they really sell you is the chemistry between the actors." Love this movie, saw it on TV in the mid 80s and the remake (like most modern remakes) isn't fit to be uttered in the same breath as the original. When I started watching it I knew nothing about it and was going to change the channel (luckily I didn't have a remote control in those days), but it quickly drew me in and I found myself watching the whole movie and really loving it. 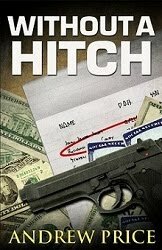 Great writing, acting and pacing throughout. 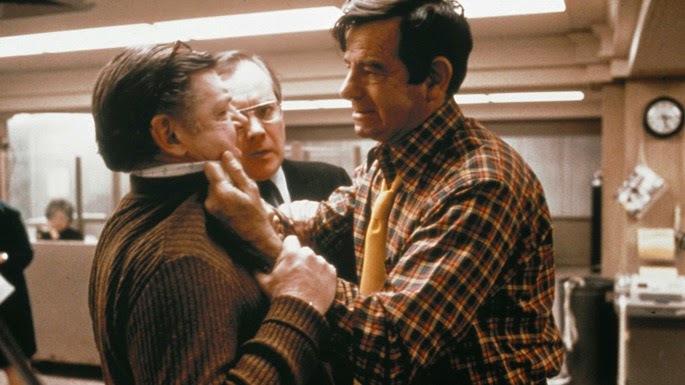 Both Shaw and Matthau are amazing and as others have said you would not get someone like Matthau as a start in a film like this in these days. Which is really a shame as often the best actors are not the best looking or most famous so we get lessor actor carrying films while the better actor is 'supporting' him. Kit, I'm not sure there is a Marxist intent so much as a desire on the part of storytellers to make their heroes more appealing. If the audience doesn't like the hero and hate the villain, then they might not like what the heroes do... especially with anti-heroes, who are typically doing bad things. Scott, Same here. I saw it on television and wasn't planning to watch it, but quickly found myself pulled in. It's a great movie. Agreed. It's too bad they only look for pretty actors now because so many of the best just weren't pretty people... and not a single person minded!